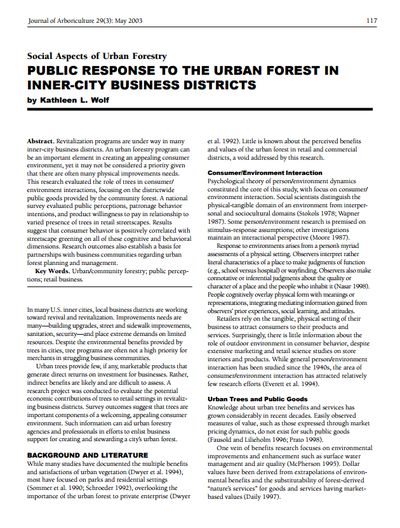 Trees can create more successful business districts. Charlotte's businesses are always seeking new ways to grow, improve their products and services, and invest in their futures. 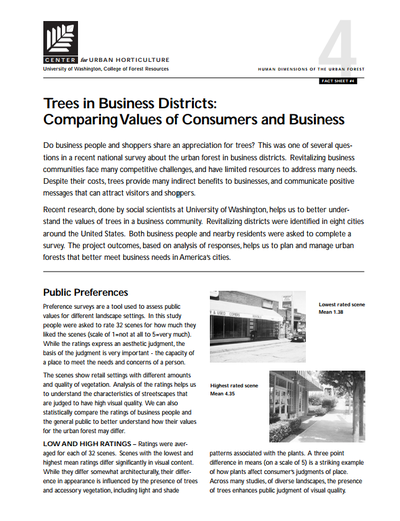 Trees contribute greatly to the success of business districts. Despite the common perception among business owners that trees hide business signage, studies have shown that tree-covered commercial shopping districts are more successful than those without canopy. business districts surrounded by trees (Wolf 1998a). Read more on these studies below (click each to download PDF of study).